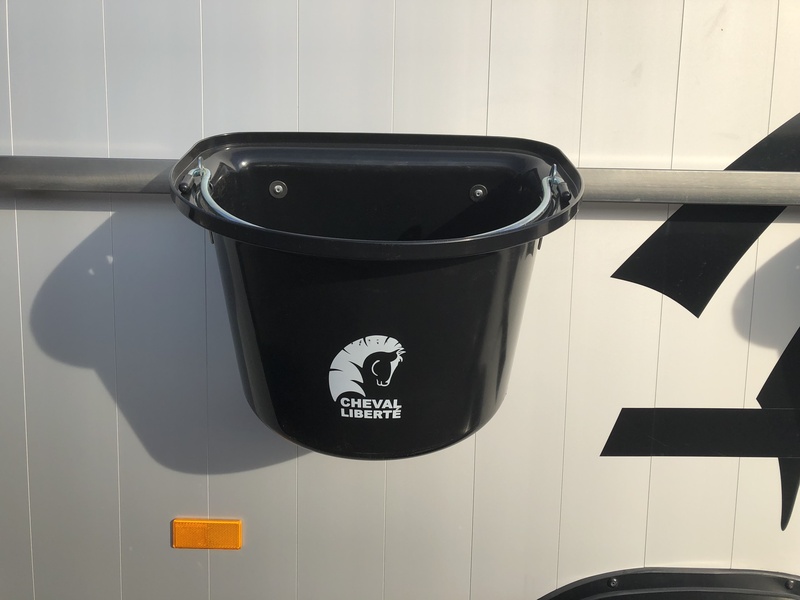 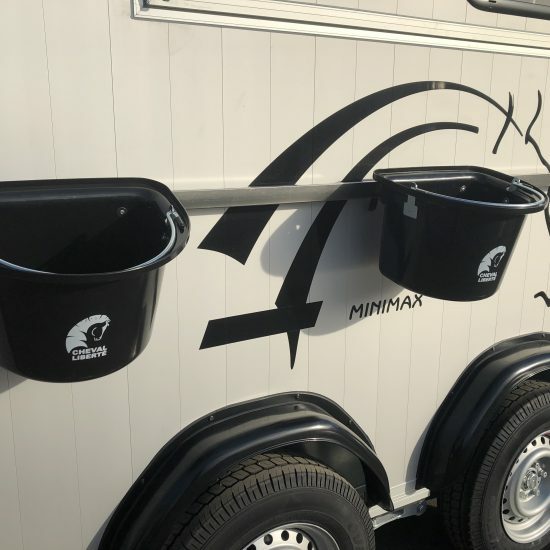 We are pleased now to stock the clip on feed bucket for the Cheval Liberte Minimax & Optimax model horse trailers with the external tack up bar – see photos. 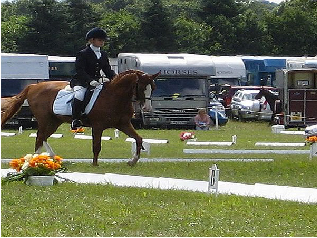 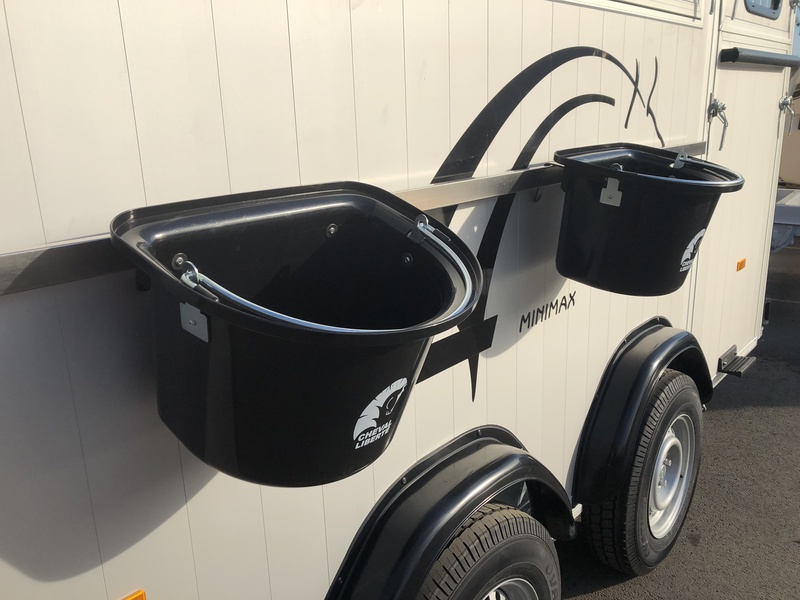 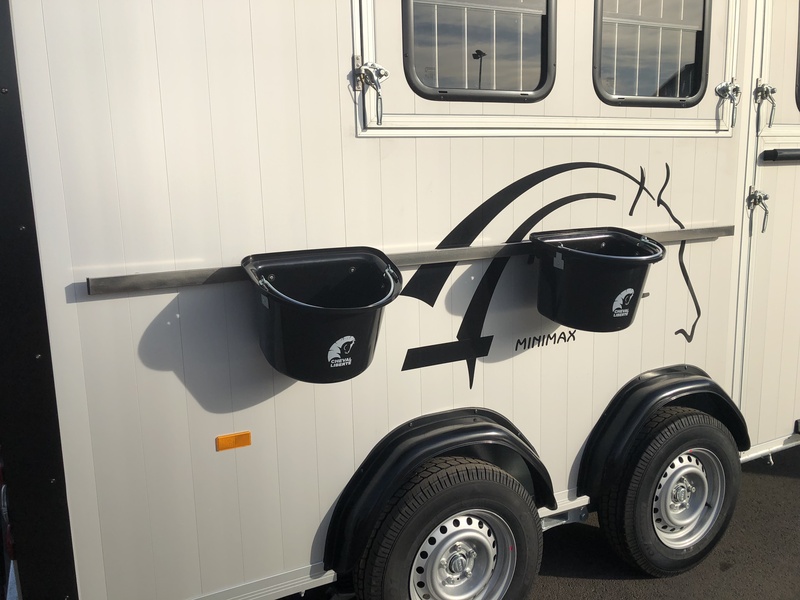 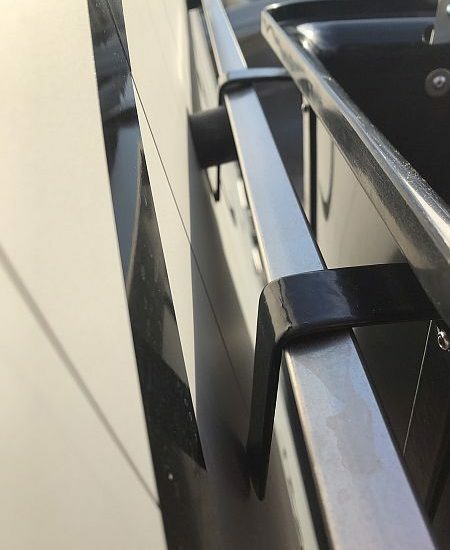 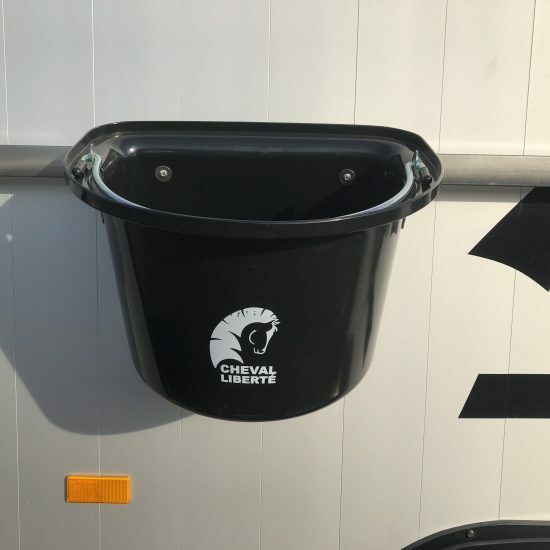 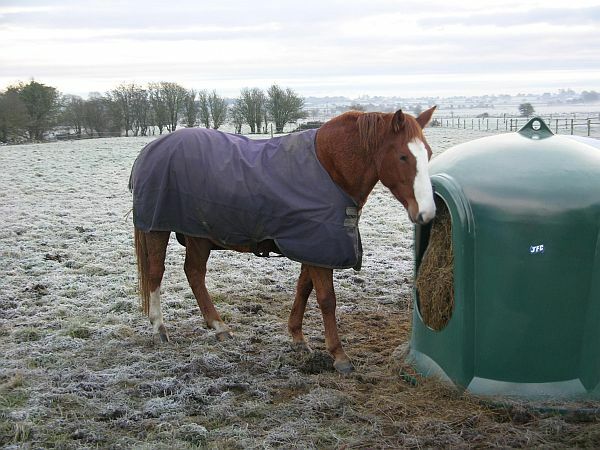 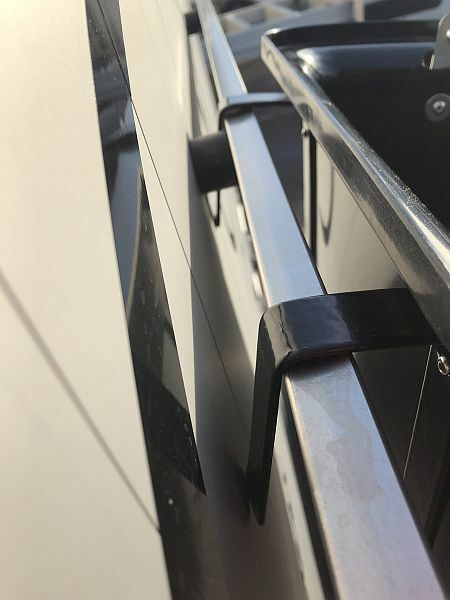 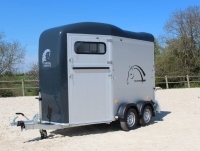 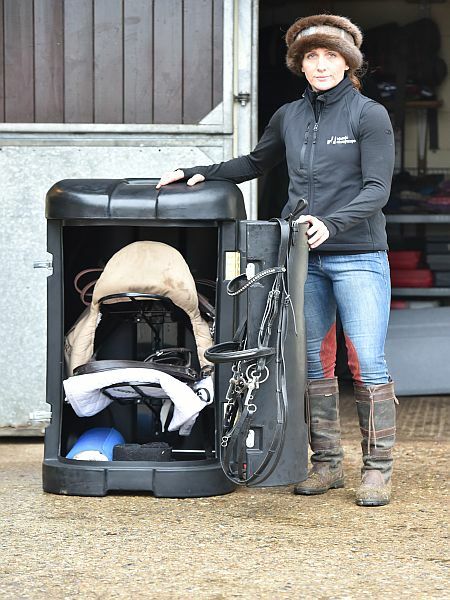 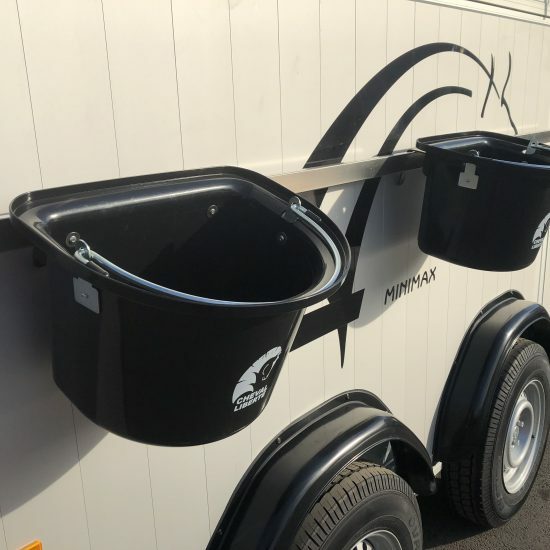 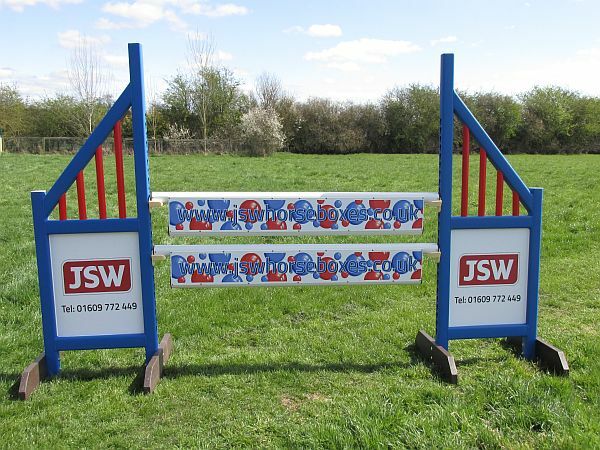 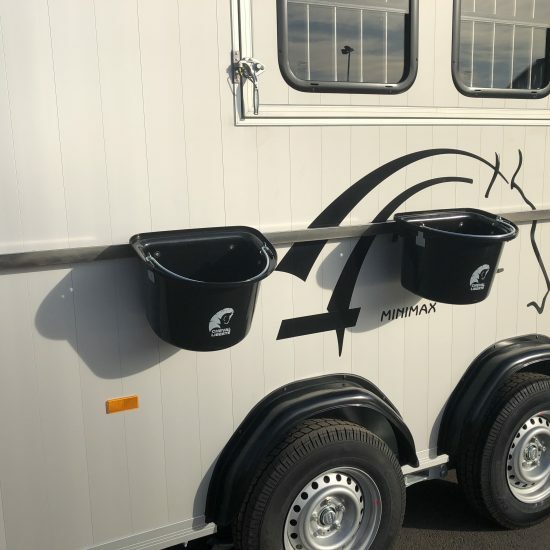 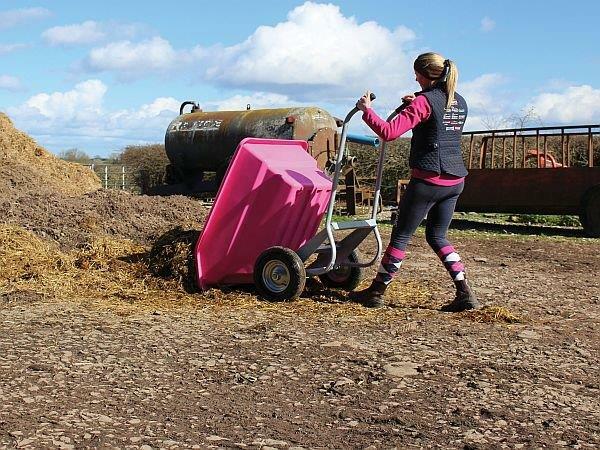 Ideally for feeding your horse whilst tacked up outside the horse trailer, these black feed bins are the perfect accessory to your Cheval horse trailer. 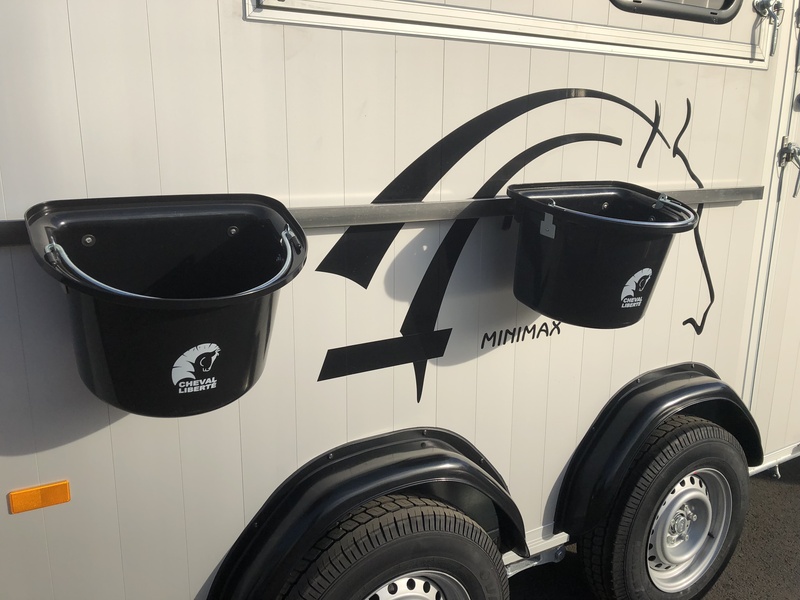 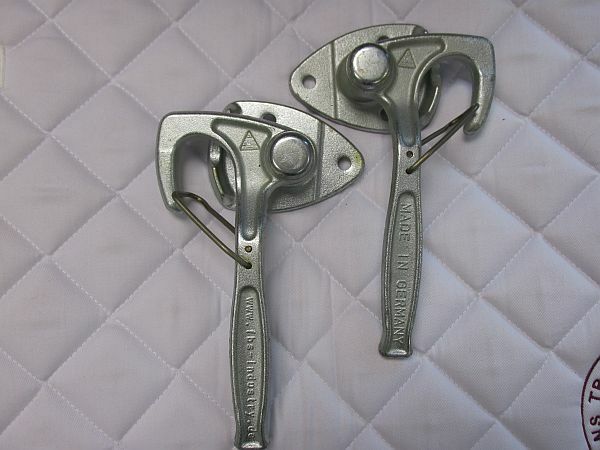 with hooks to the back of the bucket which hooks onto your tethering bar, and handle to carry – look the part with these buckets.